Tow and a half years after the original hit Steam, Bootdisk Revolution has brought back the cult shoot-em-up adventure with Bleed 2. The title is known for its twitch gameplay and bullet hell-lite enemy encounters. The sequel is ready to amp up the action and deliver even more tense boss fights and bombastic explosions. The story once again follows Wryn, a normal purple haired girl who mowed down a legion of heroes so she could be the top dog. Now there’s a new threat as an alien invasion lands on her planet and puts her title of ‘World’s Greatest Hero’ to the test. And, since you killed all the other good guys, no one else is going to come help you. But, there might be a few surprise visits along the way. 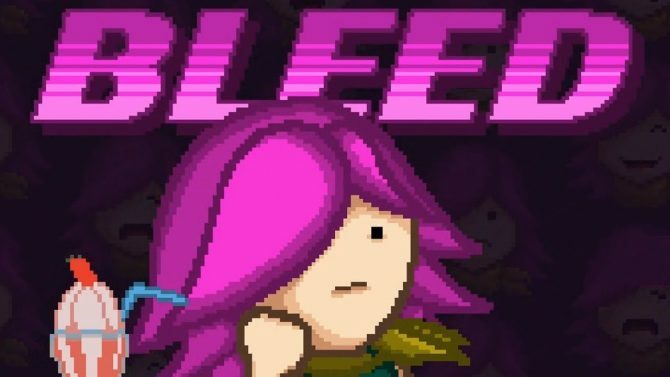 Bleed 2 continues the trend set by the original and rewards accurate players with the combo system. The more damage you do to enemies and the less you take, the more your meter grows. The higher your combo rank, the more damage you do until you’re raining down pink bullet death with the S rank. This mechanic keeps the battles intense as you want to risk always shooting at your enemies since they’ll go down faster this way. The ‘Clawed Girl’ slashes her way out of Spooky Squid’s They Bleed Pixels. She certainly lives up to her name as she soars through the Bleed 2 levels and eviscerates everything with her talons. Being a melee character in a primarily gun based game seems like it will add an extra layer of strategy to the levels. The ability to reflect back certain attacks will definitely help this unlockable character. Campbell also showed off early screenshots of his latest work to show the difference that two and a half years can make on a game. The finish product looks a lot more detailed and shows the artist’s growing comfort with coloring and shading. 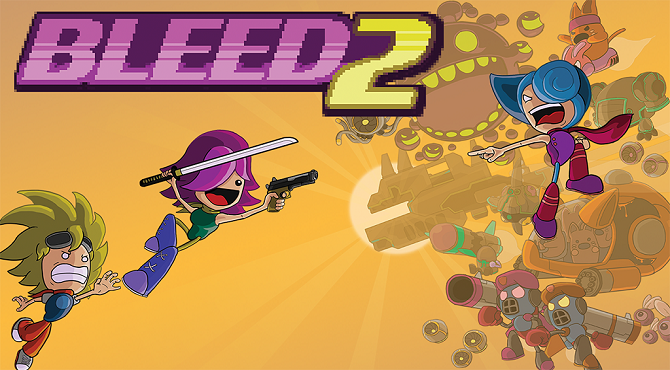 Bleed 2 is currently available on PC and Mac via Steam for $9.99 USD. You’ll also save 10% on the price if you buy it before February 15th. And if you haven’t played the original, it’s available for 60% off at a paltry $1.99 USD until Feb 13th. Maybe now’s a good time to get out there and get a little blood on your shirt.